HOUSTON, May 10, 2016 –Fortuna Resources Holdings, LLC (“Fortuna”) announced today that certain affiliates of Och-Ziff Capital Management Group LLC (NYSE: OZM) (“Och-Ziff”) have committed $75 million to Fortuna, with an option to increase to $150 million. The investment is focused on expanding Fortuna’s activities in the West Texas Permian Basin and related areas through acreage and asset acquisitions and subsequent development. The Fortuna management team has substantial experience working in the Permian Basin, with a demonstrated history of acquiring and exploiting multiple oil and gas assets in the Delaware Basin and Central Basin Platform. Aaron Davis, Fortuna’s CEO, is a petroleum engineer and was most recently with Occidental Petroleum Corporation where he oversaw multiple Permian Basin drilling and leasing programs. Och-Ziff has been investing in private energy since 2005, and has invested in excess of $1.5 billion in private energy investments. Och-Ziff’s dedicated private energy investment team focuses on middle market investments in the oil & gas upstream, midstream and energy services sectors primarily in North America. The 11-person team is based in New York and Houston. Fortuna Resources LLC is an independent oil and natural gas producer headquartered in Houston. Fortuna is focused on acquiring producing assets and acreage in the Permian Basin. For more information, please visit Fortuna’s website (www.fortunaresourcesllc.com). Och-Ziff is one of the largest institutional alternative asset managers in the world, with offices in New York, London, Hong Kong, Mumbai, Beijing, Dubai, Shanghai and Houston. Och-Ziff provides asset management services to investors globally through its multi-strategy funds, dedicated credit funds, including opportunistic credit funds and Institutional Credit Strategies products, real estate funds and other alternative investment vehicles. Och-Ziff seeks to generate consistent, positive, absolute returns across market cycles, with low volatility compared to the broader markets, and with an emphasis on preservation of capital. Och-Ziff’s funds invest across multiple strategies and geographies, consistent with the investment objectives of each fund. The global investment strategies Och-Ziff employs include convertible and derivative arbitrage, corporate credit, long/short equity special situations, merger arbitrage, private investments, real estate and structured credit. 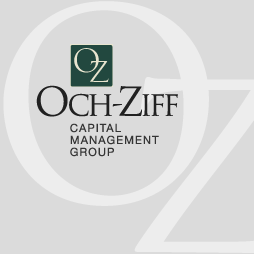 As of May 1, 2016, Och-Ziff had approximately $42.0 billion in assets under management. For more information, please visit Och-Ziff’s website (www.ozcap.com).